The Burnt wood panels, infused with the golden copper elements surround the dining area portraying the asian influence of this bistro. Pendant lights were added to soothe the dining area with their organic shape. Adding to their relevance is the inner golden color they diffuse, a color that had great impact on thai cultural ornamentation. 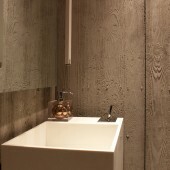 Giving a visual continuity to the dining area where the wooden grains imprinted on the restroom’s concrete walls. The contrast in color and material here is then unified by texture. To continue the vertical pattern, the restroom was fitted with a suspended ceiling faucet along with an off-white standalone basin. 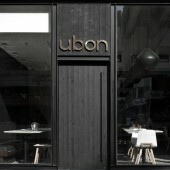 Ubon is a Thai bistro located in the core of kuwait city. It overlooks Fahad Al salim street, a street well respected for it’s commerce back in the days. The space program of this bistro requires an efficient design for all of the kitchen, storage, and toilet areas; allowing for a spacious dining area. For this to be executed, the interior works where to be integrated with the existing structural elements in a harmonious manner. 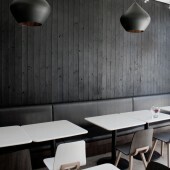 Ubon Bistro by Rashed Alfoudari is a Nominee in Interior Space and Exhibition Design Category. · Click here to register today inorder to be able to view the profile and other works by Rashed Alfoudari when results are announced. 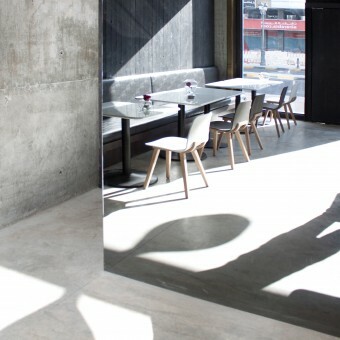 Ubon Bistro by Rashed Alfoudari is Winner in Interior Space and Exhibition Design Category, 2012 - 2013. · Press Members: Login or Register to request an exclusive interview with Rashed Alfoudari. · Click here to register inorder to view the profile and other works by Rashed Alfoudari. Did you like Rashed Alfoudari's Interior Design? 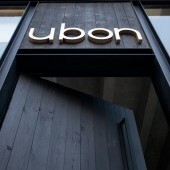 Did you like Ubon Bistro? Help us create a global awareness for good interior design worldwide. Show your support for Rashed Alfoudari, the creator of great interior design by gifting them a nomination ticket so that we could promote more of their great interior designs.